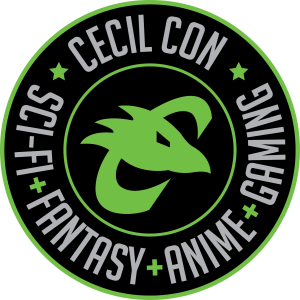 We’re kicking off Cecil Con 2019 with a showcase of sci-fi, fantasy, anime, and gaming related artwork! The Opening Reception is at the Milburn Stone Gallery inside of the Milburn Stone Theatre on Cecil College‘s North East Campus. Opening Reception: April 12, 2019 from 5-8pm during the Cecil Con 2019 Kick Off Party! This event is FREE to attend and all are welcome! There will be refreshments and some of this fabulous artwork will be available for purchase. If you love a piece of work, support a local artist! This show is curated in part by the Cecil College Fine Arts Program and Cecil College Visual Communications Program.